I had a rare opportunity this morning to play tourist in the center of the old city of Seville, and I took it, visiting the Cathedral, its attached bell tower (and former minaret) the Giralda, and the Reales Alcázares de Sevilla. 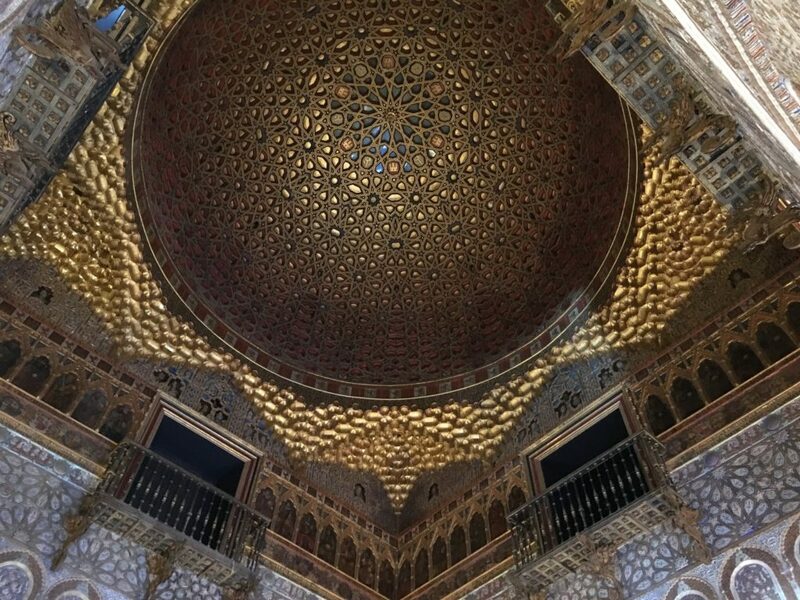 Like the Giralda, the Alcázar has roots in the Moorish Muslim past of Seville, and it’s unlike any place I’ve visited before, with rooms visible from other rooms in a twisting, labyrinthine layout. I took a lot of photos and will post more soon.